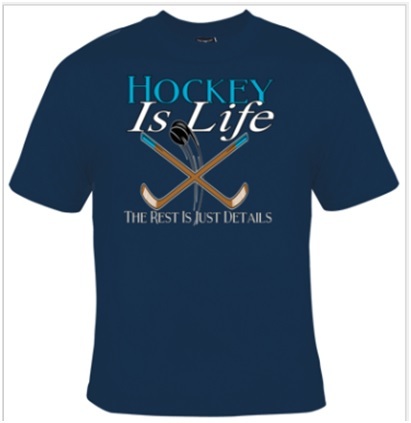 Our Hockey Is Life Ready Made Screen Print T-Shirt looks great on our Gildan dark colored t-shirts. We use only the highest quality Gildan 6.1 ounce Ultra Cotton T-Shirts for all of our imprinting. The #1 choice by imprinters across the country. 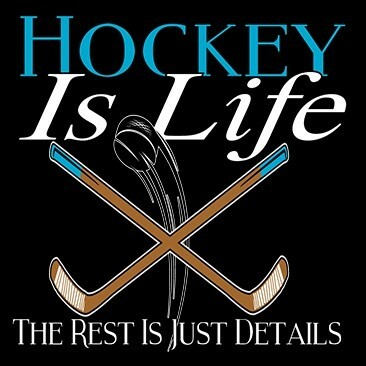 Design Sizing Info: 11" x 11"